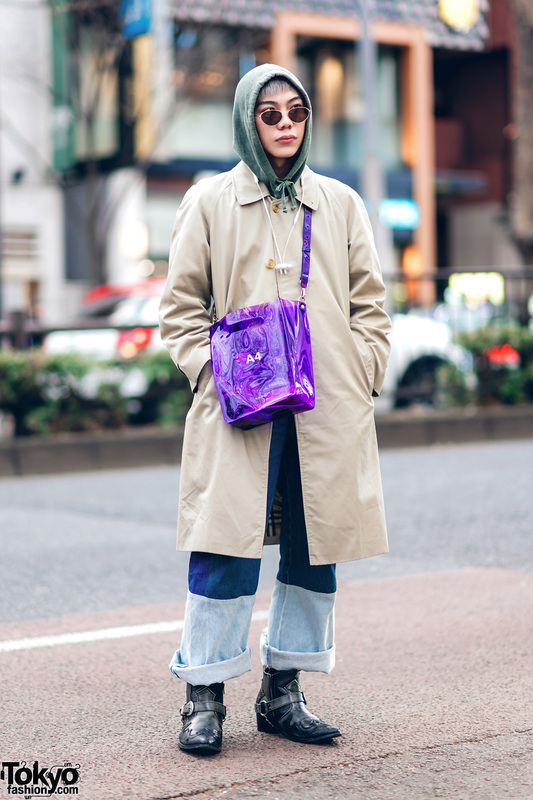 Long black dress, red headphones, and white sneakers in Harajuku. 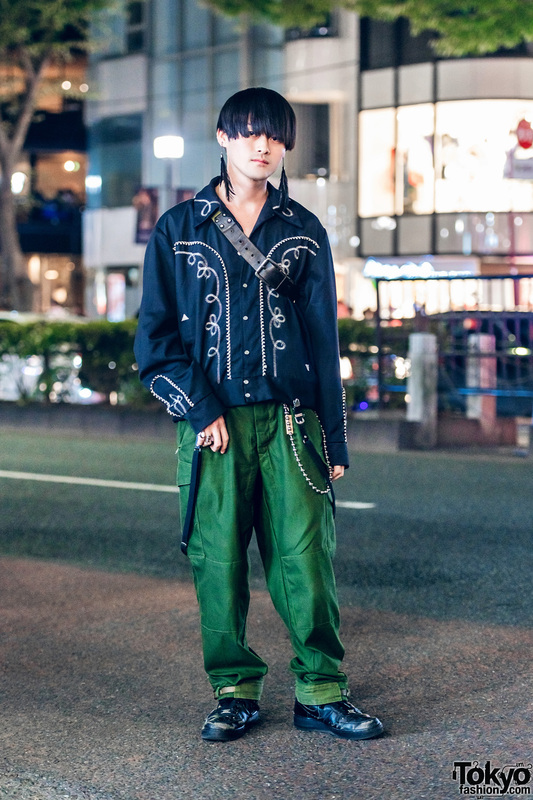 Harajuku guy sporting 50s vintage streetwear fashion with cowboy shirt, green pants, black sneakers and accessories. 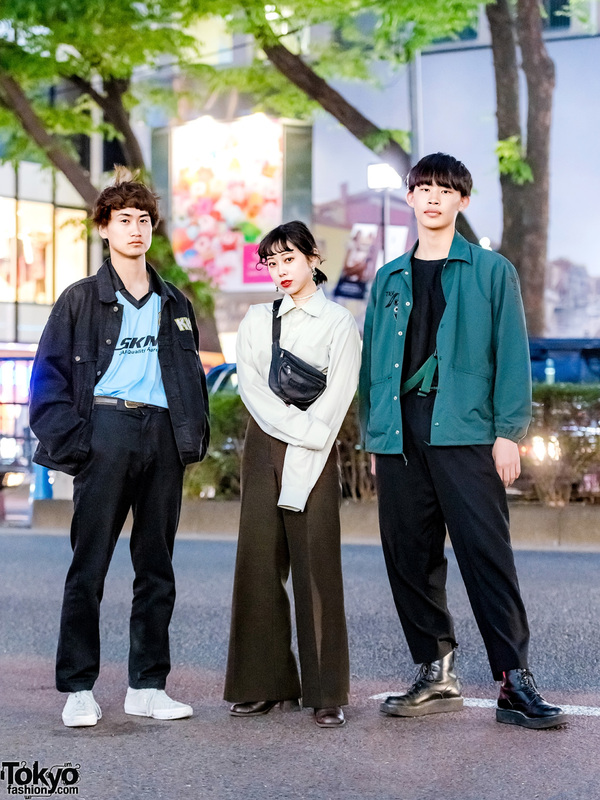 Harajuku duo sporting casual street styles while out and about on the street.